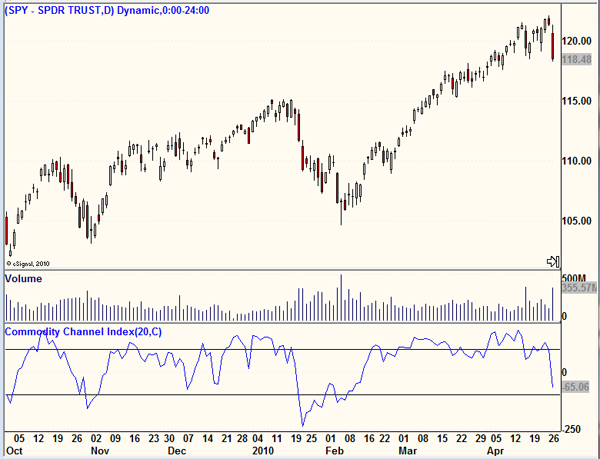 The Commodity Channel Index (CCI) is an oscillator which helps quantify whether price is either oversold or overbought. CCI is calculated via price, moving average and normal deviations of that average. In other words, it helps define directional deviations from normal market behavior. The CCI oscillator signals are typically the most meaningful when the price and volume of the chart being analyzed have also set up a bullish or bearish pattern. Using the CCI for additional confirmation of what has already been "read" in the chart can be a powerful addition to the assessment tools used by a technical analyst.